5013 Arthur Gloud Blaikie 26 Feb, 1940 to January 19, 2017. Arthur Gloud Blaikie passed away peacefully January 19th, 2017. Get out of the way” was emblazoned on the front of the soap box racer, but the warning was lost on his competitors. They couldn’t read it from behind, and Cannonball Express always finished first. Like its 11- year-old builder, it was graceful and impossibly quick: a true leap ahead. Gloud’s love of mechanical complexity and speed found their perfect match in aviation. 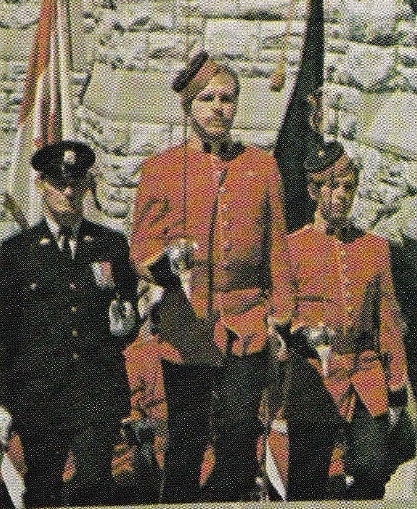 Already a Queen’s Scout, an Air Cadet and a member of the Ground Observer Corps (reporting foreign planes overhead), and the Nova Scotia Rifle Association, Gloud joined the Canadian Armed Forces at age 16 and enrolled at College Militaire Royal in Quebec, going on to study mechanical engineering at Royal Military College and UBC, with the dream of becoming a pilot. During the school year he boxed, fenced, ran track and field and became a crack shot on the rifle team, all while earning First Class Honours. In the summers he trained to fly, moving from the Harvard Mk IV to the T-33 Silver Star. After earning his wings in 1961, Gloud proved such a skilled aviator that he was immediately put to work training new pilots. He was posted to Portage La Prairie, where he met his first wife, Marion and had his first daughter, Laura. Together they moved to Moose Jaw Saskatchewan. After six years as an instructor, he traded his military uniform for the right seat of a Canadian Pacific Airlines Boeing 737, and eventually 747. Second Daughter Holly and son John were born on the beautiful west coast. He found excitement every minute of his 20 years flying the world, always bringing home treasures to his three children. Rome was his favourite destination; Fiji a close second. In 1976 he met his second wife Carol and gained a stepson, Sean. Together they continued to travel and enjoy life. For a time, between flights, he donned Stetson and tried his hand at cattle farming. He and Carol became the proud owners of a champion show horse. After an injury in 1987, Gloud returned to his engineering roots, designing high efficiency pumps for Hysavy Refrigeration. He spent his free time fishing, golfing, curling and cruising, until lung disease eventually limited his mobility. Gloud tackled his disease the way he did every problem in life: like an engineer, with a rich dose of pragmatism. Steadfastly he monitored, evaluated and corrected his body’s oxygen levels, staved off rising carbon dioxide levels, and became such an expert that if he could he have stayed awake indefinitely he might never have left us. But, there is a time for all things and it was his time to rest. 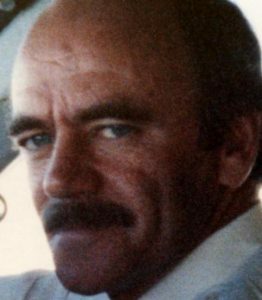 He is survived by his wife Carol, his children Laura, Holly, John, his stepson Sean, his first wife Marion, his eight wonderful grandchildren, his brothers Richard, Brian and Gary, and his sisters Brenda and Linda. His wise and non-judgemental council will be missed. His quick wit, irreverent humour and frankness made us laugh. His life inspired us. He was our hero. 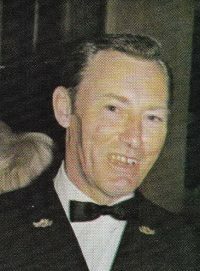 Neil Ferguson McLean was in the “new one hundred”, the first class at R.M.C. after WWII. He was the son of Lilly and Judge Evan McLean of Picton,Ont. and brothers Berford M., #2238 and E. Hamilton, #1924 (all deceased), born on April 21, 1929. After graduating from Napanee Collegiate in 1948, he entered R.M.C. He made new and long lasting friends and enjoyed playing basketball for the college team and graduated in 1952. Then he went to Queens and graduated with Civil Engineering degree in 1953. He did construction and engineering work in Manitoba and Ontario and between projects he was on vacation in Acapulco in February 1957. He met Leslie who became his wife in February 1958. Then they moved to Toronto and he worked with Gulf Oil Canada at the Clarkson Refinery until 1968. 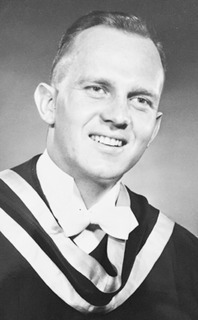 He entered McMaster and obtained his M.B.A. in 1970. He had a very successful career at Noranda Mines Ltd., retiring in 1993 as Vice President of Noranda Sales Ltd. He was always mild mannered, generous when giving and thorough when working. He managed to navigate his way through life with grace and dignity always following the guiding principle to treat others as he would have them treat him. His hobbies were family, golf, the investment business and some volunteer church work. Neil and Leslie lived in Brampton where they raised their family. They had 4 children, Neil Jr., Craig, Karen and Rebecca and spouses and 9 grandchildren. After retiring they moved to Bobcaygeon, Georgetown and in 2015 moved back to Brampton to Greenway Retirement Village where he died peacefully at home in his sleep on July 19, 2016 after a brief illness of cancer. May 26, 1930 – January 24, 2017 – Born in England. It is with great sadness that the family of Bill Walker announces his passing at home with family present on Tuesday, January 24, 2017. Predeceased by Ruth, the love of his life for 63 years. Memories of Bill will be treasured by his sons Rick (Rita), Barry (Wendy), and his “girls” Bonnie (Gerry) Henderson, Cheryl Power, and Cathy (Cliff) VonHausen. He loved to share special time and stories with his 8 grandchildren, Tanya, Hilary, Erin, Jenny, Meaghan, Stacia, Melissa, Kurt and 11 great grandchildren. They kept him young at heart! Bill had a quiet faith and a kindness for others. He enjoyed careers of leadership in the Canadian Military and Corrections Canada. In retirement, Bill travelled extensively and loved to golf and spend time with his family and friends. He was honoured to be an active member of Holy Name of Jesus Parish and a Grand Knight (Knights of Columbus).Many were touched by his love, friendship, and laughter. Family members are grateful for the compassionate care of Dr. Marcassa, the assistance of staff at Bryan’s Pharmacy, and Holy Name parishioners who helped Dad navigate his final years. We celebrate his full and generous life and are consoled that he has found rest and peace. JEFFERIES, Charles C. – Graduate of RMC Graduate of Queen’s University – M.Eng. Passed away peacefully with family by his side at Providence Manor on Friday, January 27, 2017 in his 86th year. Loving husband of 59 years to Mary Ellen (nee Gravelle). Dear father of Patricia Romero (Ricardo), Joe (Brenda) and Mike (Debbie). Cherished grandfather of Rachel and Rhiannon Romero, Katie, Luke, Jacob, Meghan and Melissa Jefferies and Matthew Desjarlais. Brother of Susan, Jean Donofrio (Ed), the late Raymond (Therese) and the late Roger (Cathy). Fondly remembered by nieces and nephews. 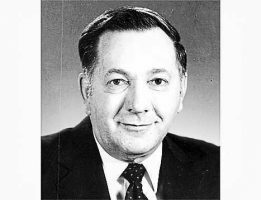 Charles served in the Royal Canadian Air Force, and later worked as a Superintendent for the Algonquin and Lakeshore Catholic District School Board. Charles was a loving husband, father, grandfather and an avid boater. Remember the tough drill staff, who became the mentoring rifle team coach. Stories over a pint, travelling with the team, warm milk and prune juice, Carmen McKay, Marcus Aruja, thunder flash in Guelph rifle range, bus trips, almost winning the rifle competition at West Point. All kinds of warm memories that include Bill. He was always full of stories that endeared him to you because they taught you about the man that he was, and the man that you wished to become, even just a little.